How dynamic distributed computing and resource allocation is pushing the boundaries of modern computing? Globally, Petabytes and Zettabytes are the new everyday normals for Data and Data Operators. In the era of consumer based massive media generation, web giants such as Google and Twitter are honing their skills at dynamic and distributed computing to serve the global demands of high-speed data realization. Here’s how? The raw computing power for responding and processing to billions of online requests comes through data centres – clusters and arrays of servers handling queries and searches. 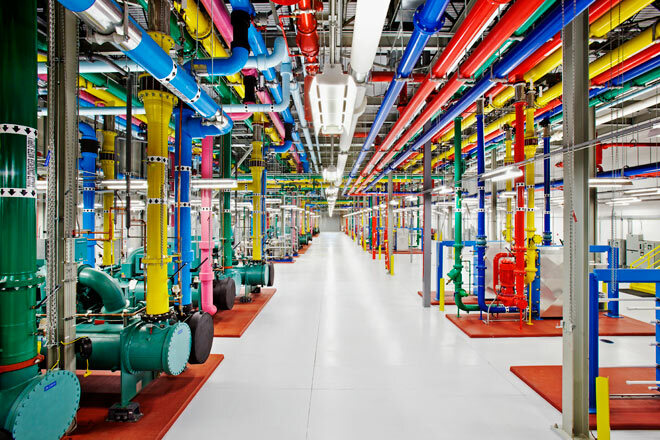 Google for instance works on Petabytes of data generated on a daily basis. Management and economics of data centres are key technology and business supports for running the internet. Hence, processes and techniques to enable data centre efficiecies are key to great internet experience and data delivery. Towards this Google and Twitter, independently have been working on Dynamic distributed computing resource allocation systems. The term is used to imply efficient parcelling of work and applications across Google’s fleet of data centre and armies of computing servers. Google calls this system Borg and Twitter calls it Mesos. Google has a next generation system that is in the works called – Omega. These systems provide a central brain for controlling tasks across the company’s data centers. Rather than building a separate cluster of servers for each software system — one for Google Search, one for Gmail, one for Google Maps, etc. — Google can erect a cluster that does several different types of work at the same time. All this work is divided into tiny tasks, and the system dynamically assigns these tasks wherever it can find free computing resources, such as processing power or computer memory or storage space i.e resources. Underneath the concept of dynamic distribution of application/ computing load across sets of servers is the core- the microprocessor! Traditionally, the computer processor — the brain at the center of a machine — ran one task at a time. But a multi-core processor lets the programmer run many tasks in parallel. Basically, it’s a single chip that includes many processors, or processor cores. The numbers could be as high as 64 or 128 cores on the same processor – thereby multiplying the processing capability. Thus Omega and Mesos let you run multiple distributed systems atop the same cluster of servers. Instead of running one server for Application 1 and the second server for Application 2- this now allows the same server to run both the applications at the same time. Complex computational processes and data hogging activities now are automatically alloted computing resources and (server) core structure to allow the data centre do multiple times activity and computation. Yes, there are other ways of efficiently spreading workloads across a cluster of servers. One could use virtualization, where virtual servers can run atop physical machines and then load them with relevant software and applications. But with Borg and Mesos, the human element in juggling all those virtual machines is eliminated making the process automated! In an era where information and communication is getting democratized and is increasingly becoming a tool for repressed social classes to express themselves as part of intensive campaigns of civil resistance, Oppressive regimes have resorted to Internet Black Outs, Internet Censorship, Social Media/ Facebook/Twitter Censorships to snub out people’s voice. However, companies such as Google, Facebook, Twitter have worked on way-abouts to reach out to the people and help them reach out to the world media. Today’s Internet blackout at Syria is one such example where Google has now started a call service to post tweets through a voice connection. Here’s how Google is helping people’s voice on Twitter. A great example of service to people! On Twitter’s becoming the voice of people – Post the Arab Spring, this is yet further proof of Twitter’s pre-eminence as a communication platform. In many ways it represents the kind of impartial, democratic, cheap yet scalable media tool that the Internet has always promised. Indeed, in many ways, Twitter has begun to function as a protocol rather than as a product. The Jury is divided on G+. However G+ is adding up numbers very very impressively. My opinion about G+ is that it really mashes features from Facebook, Twitter, Skype, Stumbleupon,Tumblr well currently. What adds glory to the effort is the slick UI and UX. Interestingly most of the properties on G+ are Products from Google that are already available. So for now, it is old wine in revised packaging. 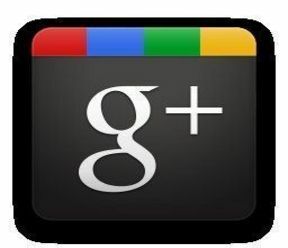 Going forward a lot of product developments are expected in G+ is expected in quick time. Surely LinkedIn type Professional networking is sometime soon. Gaming is yet another big piece. LBS would be yet another. Collective Buying is yet another. Given all these features,G+ has good reason for traffic: Features and enhancements, engagements and experience layer over the basic layers of social networking, feeds, groups, chats, recommendations and discussions. There would be some missing pieces like social games which will also get integrated at some level. That will deliver the “stickiness” piece. Thus G+ is Google’s best effort in terms of extending its competency of monetizing things from the search domain to the social domain. Prior to G+, Google had search results but no means of profiling who had done the search. With G+, Google leaps that lack of understanding in terms of profiles. End of the day its all about targeting users and profiling better, to monetize the effort.And no one monetizes better than Google does. With Google’s strength in native properties such as Search, Location, Mobile, Content, Media and Video; integration of chatter, conversation and networking will make this a huge next gen tool… possibly Google’s next Billion Dollar babe. After a decade of playing with social communities, the Google+ plus interface is possibly the best. From a design perspective, it’s very squeaky clean, making Facebook’s interface look a little dated. However, it packs all the features that people like on their Networking space. The Circles with its drag and drop feature, cute aligning of friends, easy categorization and intuitive use is the best. While other social networks attempt to categorise contacts into different groups, Google+ has nailed it. The content piece or Sparks as it is called, allows the user to follow items of interest quite like Twitter where one may follow content creators and their links. This might be the earliest avatar of the Web 3.0 where the Sparks could throw up recommendations based upon an individual choices and profiles. Sparks would learn from Google products (e.g. Google Search) as well as what is being shared via Google+ and through +1.The videocam chat is called the Hangout. Google+ also allows for some degrees of privacy protection. The privacy link displays useful tips about how to protect what is being shared. Even better, each time the user posts content, he gets to choose what circle he would be sharing information with. While there has been criticism about Google+ revealing that they plan to retire private profiles at the end of July. Privacy — deciding whom the user shares different posts with — seems to be top of mind on Google+. That’s a relief after Google’s earlier debacle with Google Buzz, which had arrived unsolicited and initially created circles of friends automatically based on whom they’ve corresponded with on Gmail. Unlike Facebook, which allows users to maintain a private account that won’t show up in searches, Google+ will keep some basic information, such as user name and gender, public. Unlike Twitter, which forces a 140 character limit, Google+ Stream posts comments allow for more space and more content being shared and allows for a threaded view on topics, comments, recommendations and others. The Huddle allows a clique kind of environment for specific larger group conversations without other eavesdropping. Thats new considering that FB doesnot incorporate a multi user chat and Twitter allows group, but the chat is visible to public. The Picassa integration into Photos is another feature which emphasizes sharing. Fortunately and to many people’s relief it has a level of provacy setting where it asks permissions group wise. From the looks of it Google had actively and simultneously planned for the Android App based integration and the services runs very intutively on the Android devices. The key feature as with the web version is that it has a brilliant interface and great user experience for the users. Facebook has 750 million users with about half of them logging into the social network on every given day. Google+, is 2 weeks old and looks to be in a hurry to break the 10 million mark. It could also break the 20 million user number if Google keeps the invitation button active. The numbers do provide evidence that there’s demand for another sizable social network–and that Google isn’t necessarily forever doomed to fail in trying to launch it. Google+ is already expected to cross the 100 million user base the fastest in history. So torrential was the response to Google+, that it ran out of disc space. Even Google had not anticipated that kind of response. So then, Why is Google+ the new “big boy” in the “social” block? Firstly, Google+ is extremely well executed and users are already smitten. Personally, I see Google’s attempt at Google+ not as anything ground breaking except the neat manner in which it has been packaged.+1 recommendations, Gmail, Chat, Calendar, Documents, Photos, Reader, YouTube, Books, Videos, and all other Google properties successful or otherwise re-packaged in an extremely fluidic user experience which leverages the social context between groups of people enabling sharing, creating, discussing and more. For sometime now, Facebook has been snubbing Google’s nose for the laters inability to claim the social space. Google’s answer takes learnings from Facebook, Twitter and even Linkedin (Something about Google+ Business). Its seamless integration with other Google services, from search to online documents, makes it easier to share things online. The whole console which features best of social networking, friends circles, social circles, social buzz, videos, photos and others makes for a heady cocktail and the User experience adds the special something. An interesting move this, Google+ could be Google’s definitive move into things social. What are people talking about on Twitter? 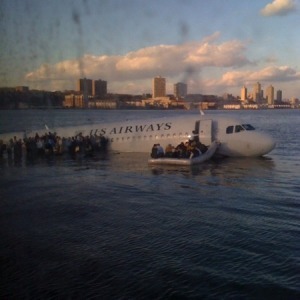 Attributes of Twitter extend beyond just celebrity follower-ships and are largely untapped by the majority of Tweeple. This Presentation examines Twitter beyond celebrities and business engagements. However, Twitter’s 140 odd characters has sometimes proven to be a restraint on what much and how much is to be said. Thus it is not surprising that Twitter’s 140-character limit on “tweets” is being tweaked to include pictures and video. Although a number of third-party programs which access Twitter’s output via its database can already link directly to pictures and videos on other sites, the site itself has so far held back from allowing anything beyond text-only hyperlinks to appear in users’ streams. Twitter now finds itself in the footsteps of the biggest social networks Facebook and MySpace, which have made themselves essential to their hundreds of millions of users by becoming a channel for multimedia content. Twitter is aggressively adding features to itself to make it a more useful and media rich source of information and sharing. 2. Twitter has also created a single streamlined timeline which features Mentions, Retweets, Searches and Lists (on the left of the screen). 3. The right of the screen includes trending topics, the follow and the unfollow lists and favourites etc. 4. Twitter has established partnerships with DailyBooth, DeviantART, Etsy, Flickr, Justin.TV, Kickstarter, Kiva, Photozou, Plixi, Twitgoo, TwitPic, TwitVid, USTREAM, Vimeo, yfrog, and YouTube to enable embedded photos, content and videos directly on Twitter. 5. When you click a Tweet, the details pane shows additional information related to the author or subject. Depending on the Tweet’s content, one may see related content such as @replies, other Tweets by that same user, a map of where a geotagged Tweet was sent from, and more. 6. One can Click a @username to see a mini profile without navigating from the page, which provides quick access to account information, including bio and recent Tweets. One of my earliest recollections of big sporting event was the Mexican Wave in the 1986 FIFA world cup at Mexico. That was the year of Maradona. 24 years later, its Vuvuzelas inside the stadiums and its Social networks outside it. The magnification effect that social media has on such large scale events is on a mind boggling state. So far Audiences around the world have been audiences. Now they are playing the games, teams, themselves and others as much as the players are. The Number of fanpages in Facebook, the levels of participation and the frenzy; the Twitter groups, World Cup apps for Smartphones are beginning to come of age and the decibels levels dont seem to abate any soon. 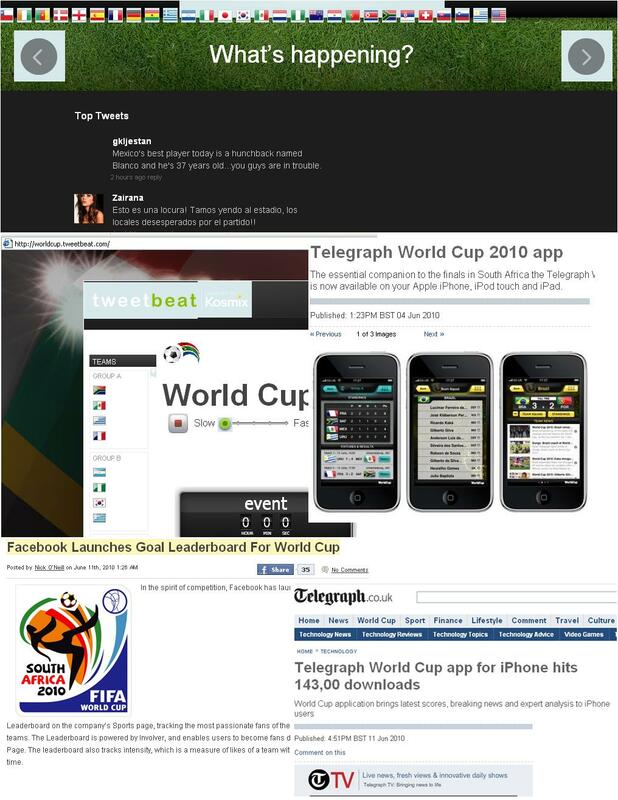 Already the number of tweets weighed Twitter down when the South Africans scored the first goal of FIFA WC 2010. Just to prove point, the equalizer from Mexico also had Twitter down. The announcement about Twitter’s “Promoted tweets” took a long time coming, but this was inevitable and in many ways is Twitter’s acid test. Lately there are those naysayers who have been critical of twitter’s ability to convert its legions of followers into real time money making venture. 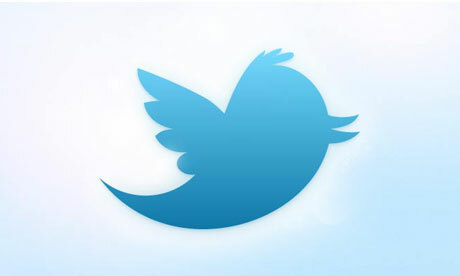 Twitter is finally embarking on what its executives hope will be a money-generating endeavor. Promoted Tweets will give sponsors’ messages premium placement when users enter a search term. Sponsored messages that don’t garner much user attention, however, won’t last long. Promoted Tweets, will allow businesses and organisations to highlight their 140-character-or-less messages to a wider group of users. Twitter has Best Buy, Bravo, Red Bull, Sony Pictures, Starbucks, and Virgin America as its ad partners for the promoted tweets. These tweets will be visible on search pages of Twitter and will be consistently monitored by Twitter and Tweets not “resonating” with users will be taken off. Like paid search results on Google , the companies are giving Twitter money to have their promoted tweets associated with keywords and appear at the top of a search results page. For example, a search for “coffee” returns a page that begins with a promoted tweet from Starbucks- one of several companies partnering with Twitter for the launch — that links to a pic of the Seattle company’s coffee-bean tasting room. Promoted Tweets will be clearly labeled as “promoted” when an advertiser is paying, but in every other respect they will first exist as regular Tweets and will be organically sent to the timelines of those who follow a brand. Promoted Tweets will also retain all the functionality of a regular Tweet including replying, Retweeting, and favoriting. Only one Promoted Tweet will be displayed on the search results page. Biz Stone also commented that this was the “first phase” of Twitter’s efforts to making revenues. The later phases will depend upon resonance of promoted tweets, user experience and interactivity and the value for the advertiser. In the second phase, Biz Stone plans Promoted Tweets to be shown by Twitter clients and other ecosystem partners and to expand beyond Twitter search, including displaying relevant Promoted Tweets in timelines in a way that is useful to the user. There are several other aspects of the Promoted Tweets that we are Twitter would be highlighting. Since all Promoted Tweets are organic Tweets, there will not be a single “ad” in our Promoted Tweets platform that isn’t already an organic part of Twitter. This is distinct from both traditional search advertising and more recent social advertising. Promoted Tweets will also be timely. Like any other Tweet, the connection between the user and a Promoted Tweet in real-time provides a powerful means of delivering information relevant to the user at the moment. There is one big difference between a Promoted Tweet and a regular Tweet. Promoted Tweets must meet a higher bar—they must have to resonate with users. That means if users don’t interact (such as replying to it, favouriting it, or Retweeting it) with a Promoted Tweet, Twitter will know that the Promoted Tweet is not resonating with users, the Promoted Tweet will disappear.